It is important to create policies and procedures for shoplifting in your retail store. While we all hope it will never happen in our stores, the statistics say it probably will. A 2014 National Association of Shoplifting Prevention (NASP) study finds that 1 in 11 people in the US is a shoplifter. No solid "profile" exists as men and women, old and young; all colors, creeds, and races commit this crime equally. Is your goal to prosecute or get the merchandise back? 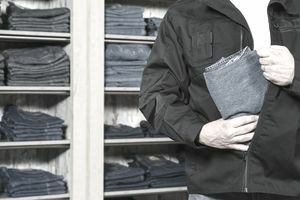 Does your store have a zero-tolerance policy for shoplifting? Will you prosecute shoplifters under 18 or over 65? Is there a minimum qualifying dollar amount to prosecute? How will you confront and detain the shoplifter? What will you do if the shoplifter shows remorse or offers to pay? Who is responsible for calling the police? Consider a shoplifting policy that is fair but firm. If your store chooses not to prosecute shoplifters, word will get around, and your store may become a target. If shoplifters know your store takes theft seriously and is not afraid to prosecute, many thieves will avoid stealing from your business. Store design, customer service techniques, and technology go a long way in preventing shoplifting. If your store prosecutes for shoplifting offenses, post signs stating as much. If you see someone take an item, alert another employee so that your interaction with the individual can be monitored and witnessed, then approach the person. Ask "Can I ring that up for you?" Never confront a shoplifter in an accusatory tone. For example, never say "I saw you steal that necklace." Shoplifters are very skilled at getting around their accusers. But, if you simply act like they put the necklace in their pocket to carry until they're finished shopping, one of two things will happen: They will either put it back or pay for it. Store design has a lot to do with shoplifting. Many stores suffer loss as a result of blind spots -- areas of a store which employees are simply unable to manage or watch. Stand at your cash register and each corner of your store and survey the floor. What areas are you unable to see from each vantage point? Inventory control improvement can often be as simple as lowering shelving height to increase visibility across the store. In-store cameras will help deter the casual shoplifter, but not the professional one. Know your local and state shoplifting laws. If you have questions about them, contact your local police station or prosecutor -- either should be willing and able to help. Laws vary by location, but most places require that one person must see the shoplifter take the item, conceal it and exit the store without paying for the merchandise, all while never taking their eyes off the shoplifter. Only then can the store employee who witnessed the theft apprehend the shoplifter, without force. It is possible that a misunderstanding has taken place and the person is not a shoplifter, so following through observation all the way to the end is of central importance. When approaching a suspicious person, try to remain calm and professional. Addressing the suspect in a polite, discreet yet firm and professional manner will help you and your store avoid a slander, false arrest, or discrimination lawsuit. Do You Properly Lift a Boxes at Work?